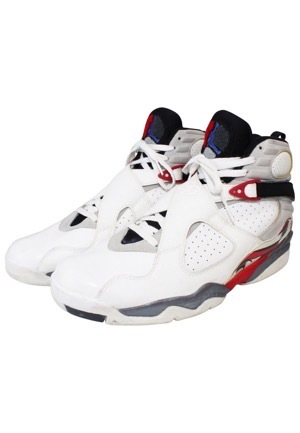 Nike Air Jordan size "13" white sneakers with a red, black, grey and blue trim. 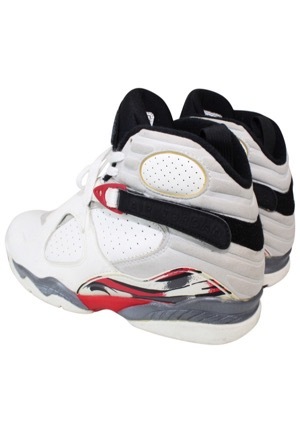 On the outside and inside ankle of each sneaker reads, “AIR JORDAN” in black. On the tongue of each sneaker is a blue Jumpman logo embroidered. 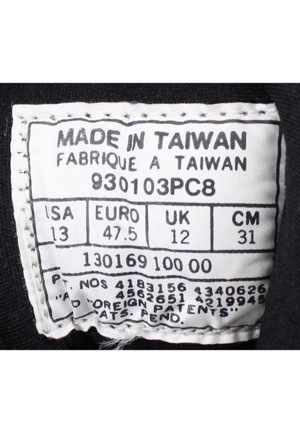 On the inside of each sneaker is the manufacturer’s tag with the code, “930103PC8”. 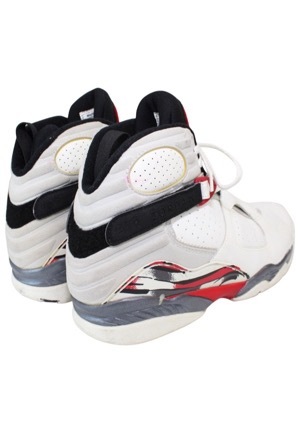 Jordan signed on the toes and the signatures are heavily faded and unable to authenticate. 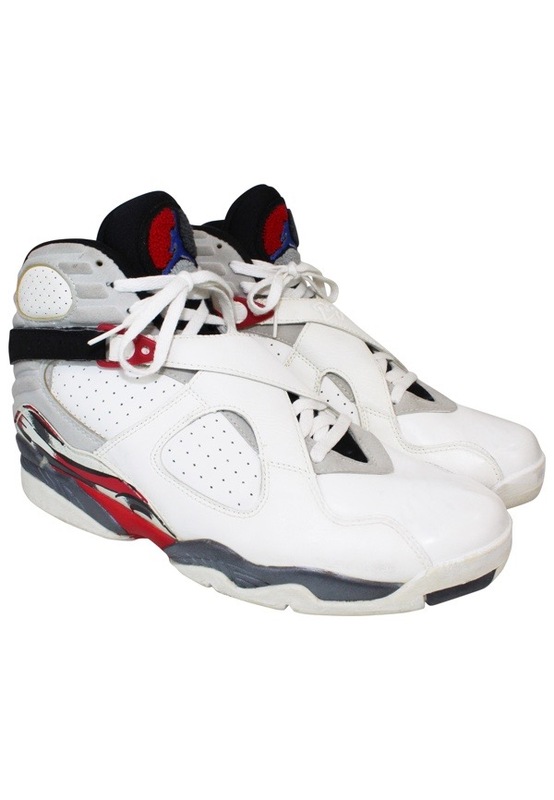 These sneakers are properly tagged and were presented to us as Jordan-worn sneakers.